It’s the 2019 Norwich Seed and Plant Swap! 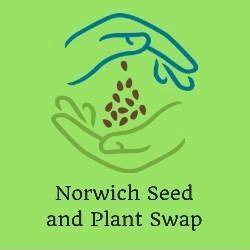 This is an opportunity for allotmenteers and gardeners across Norwich and Norfolk to come together and swap seeds, potted plants, gardening books and hints and tips. There’ll also be talks and workshops on all aspects of gardening. Perhaps most importantly, there will be tea and cake.